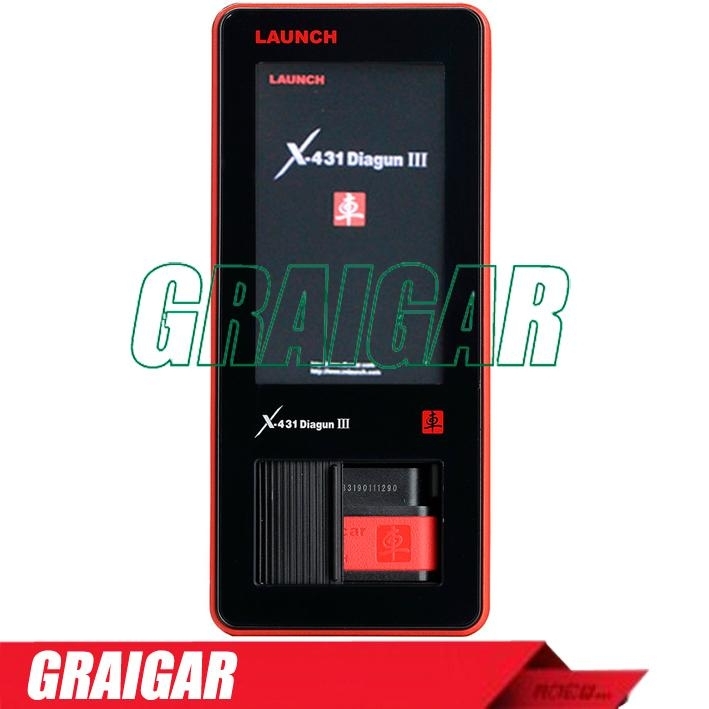 Launch X431 Diagun III is a new professional vehicle diagnostic tool designed and developed by LAUNCH for repair technicians. It's smart, easy to carry, fully functional and convenient to use, and it's the standard equipment for garage technicians. 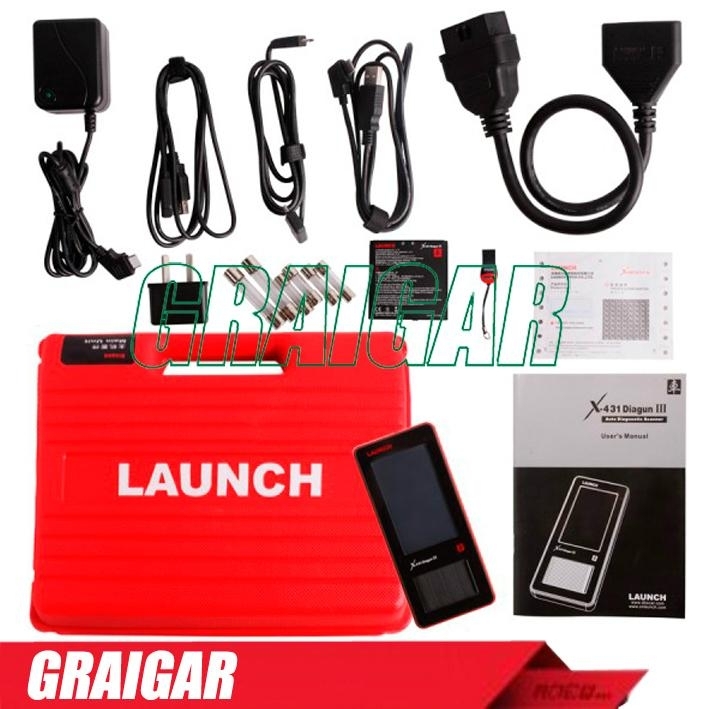 X431 Diagun III is a new professional vehicle diagnostic tool designed and developed by LAUNCH for repair technicians. 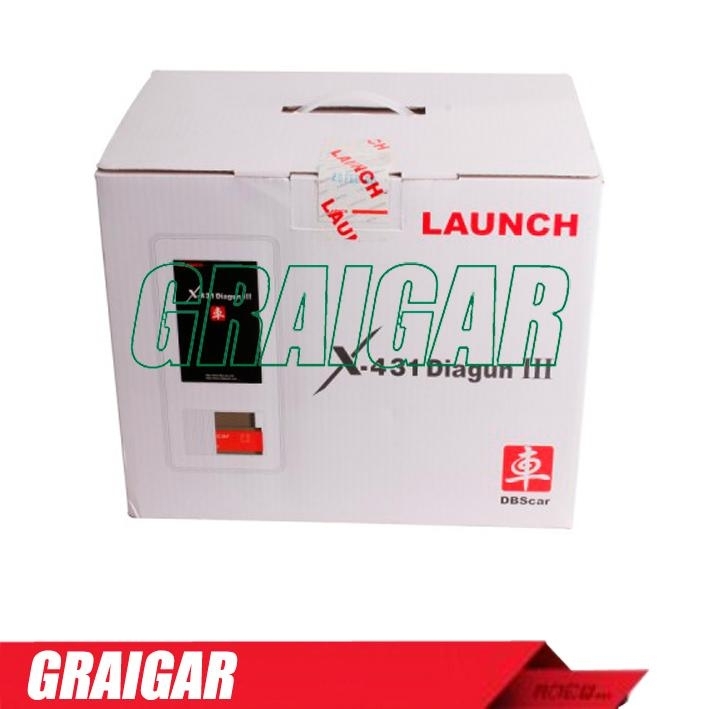 It's smart, easy to carry, fully functional and convenient to use, and it's the standard equipment for garage technicians.X431 Diagun III+Launch DBS car diagnostic adaptor integrated design,supports wired and Bluetooth wireless diagnosis.Color and touch inductive screen, easy operation. Long stand-By time: Can be used continuously 10 hours. Unique Appearance: Rolling cover design, the DBScar connector is integrated. Support print function: Support standard USB printer for printing diagnostic result. Quick Update: Nearly 1,000 software update per year to ensure the functions. Wireless diagnosis: Main unit can communicate with DBScar connector by Bluetooth(<100m). Powerful diagnostic: Inherited with all diagnosis function of X-431 with wild software coverage, Asian, European and U.S.
3. 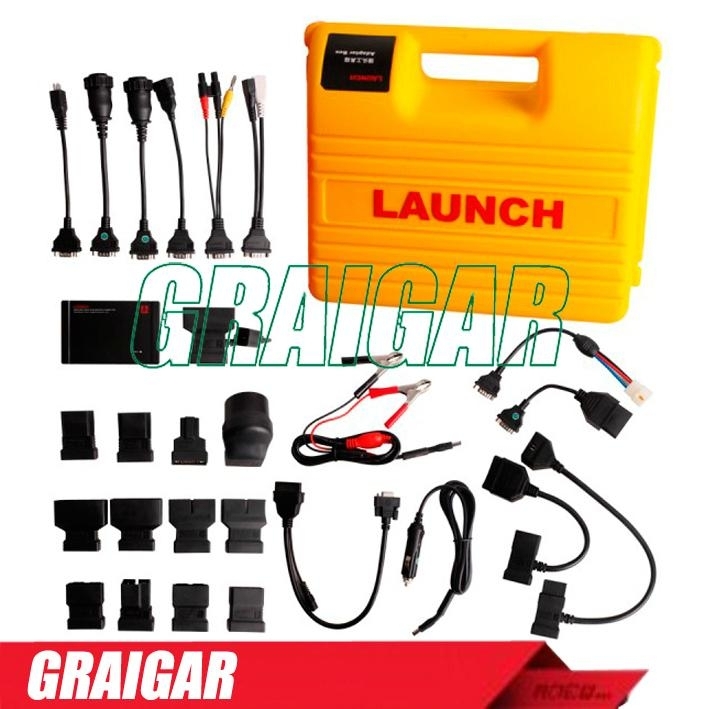 Plug the 16 PIN end of DBScar diagnostic connector into the vehicle’s DLC. 1. 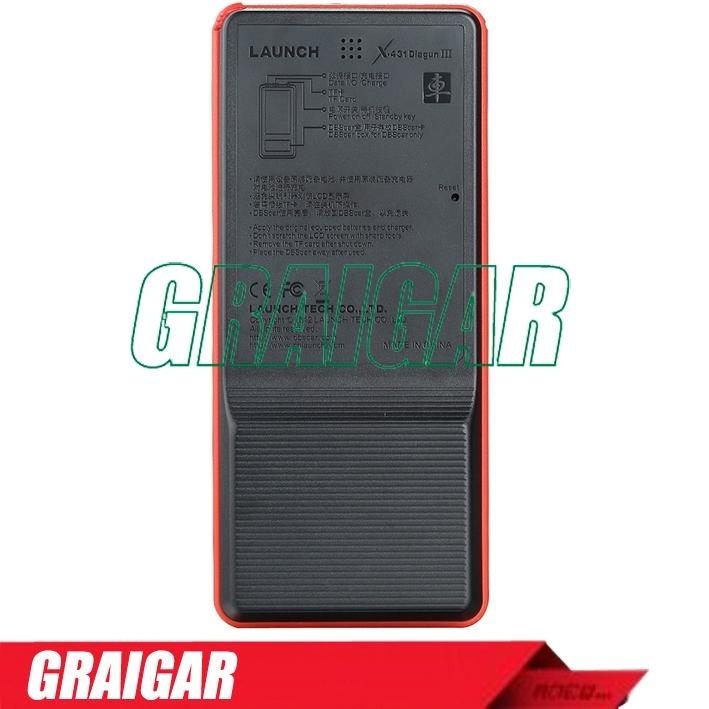 X431 DIAGUN III Support online update one year for free. 3. When you get your device, please give us your serial number, the country you going to use and language you need to our customer service, we will active this product for you. Active takes 24-48 hours. 4. After active it, you can go to DBSCAR Official Website to register and download software. Our Dealer Code is 86A. 5. Learn how to match DBSCAR connector with your Diagun III main unit. 1. For every chassis, the non-CAN mode SAM DR,SAM PASS systems have been added with read version information, read DTCs, clear DTCs, read data streams, actuation test, and special functions have been added. 3. For the CAN mode ISM under every chassis, the actuation test and special functions have been added. 4. For the non-CAN mode SCM system under every chassis, the Initial startup has been added. 5. For the 163 chassis, the VIN auto scan function has been improved. 6. For the ESP system under the 211 chassis, the deion of DTC No. 4d41 has been revised. (1) XJ 2006: oil service counter reset, DPF replacement (only for diesel engine), DPF dynamic regeneration (only for diesel engine). (2) XJ 2008: oil service counter reset, DPF replacement (only for diesel engine), DPF dynamic regeneration (only for diesel engine). (3) S-TYPE 2006: oil service counter reset, DPF replacement (only for diesel engine), DPF dynamic regeneration (only for diesel engine). (4) XF 2008: oil service counter reset, DPF replacement (only for diesel engine), DPF dynamic regeneration (only for diesel engine), DPF fuel related components replacement (only for diesel engine). 2. For WIND model, fourteen systems have been added. 3. For KANGOO MUX model, two Injection modes have been added. 4. For three modes under the PARKING BRAKE system of SCENIC II model, two special functions (Save clutch pedal programming, Write clutch pedal programming) have been revised. 1. The operation instructions for VW model coding, basic adjustment, and channel adjustment match functions have been added. 1. For the 2011 newly added systems under CAN protocol, the actuation test, system test, and special functions have been added to twenty-six sub modes (including ABS, ACC, AHBM, AHLM, DMRL, DMRR, ESM, HSM, HVAC, ITM, MSMD, PEM, PLGM, PTS, RADIO, SAS, TCM, and TPM, etc.). 2. For the 2011 newly added systems, the way to read DTCs has been readjusted. BMW Diagnostic Software for X-431 Series V45.70 This software is issued in 16 languages: simplified Chinese, traditional Chinese, English, German, Spanish, Portuguese, Turkish, Russian, Polish, Italian, Japanese, Arabic, Greek, French, Serbian, and Korean.Compared with the previous version (V45.60). 1. Following specific functions have been added. (1) For the DME under the E60, etc., chassis: Idle speed, Exhaust-gas recirculation, Starting fuel delivery, Limitation delivery, Injection rate, DME/DDE-CAS, Injector rate adjustment, Read measured values, Bleeding, fuel system, Replacement, and particulate filter, etc., special functions. (2) For the CAS under the E60 chassis: CAR KEY MEMORY. (4) The text libraries in Russian, French, Arabic, Italian, Japanese, Korean, German, simplified Chinese, and traditional Chinese. GM Diagnostic Software for X-431 Series V42.60 This software is issued in 12 languages: simplified Chinese, traditional Chinese, English, Korean, Spanish, German, French, Arabic Russian, Italian, Japanese, and Turkish.Compared with the previous version (V42.50), For following specific models, every system has been added with basic diagnostic functions.